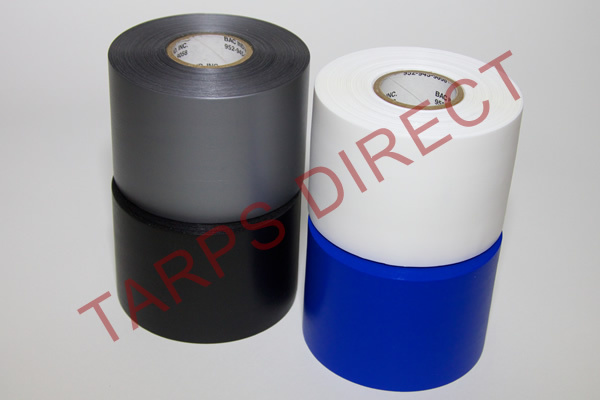 Tarps Online carries a complete line of tarp related accessories. 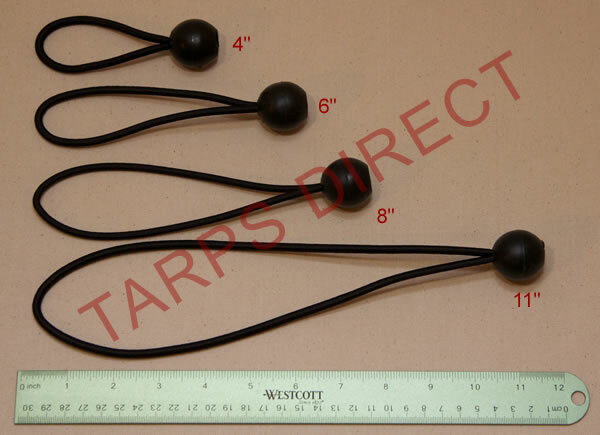 These are good quality ball bungies. Grommet Repair Kit - 1/2 Inch I.D. 1 inch wide x 10 feet long with S-Hooks and Loops. Break strength 2,400 pounds. Working Load Limit 800 pounds. 1 inch wide x 7 feet long with S-Hooks and Loops. Break strength 2,400 pounds. Working Load Limit 800 pounds. 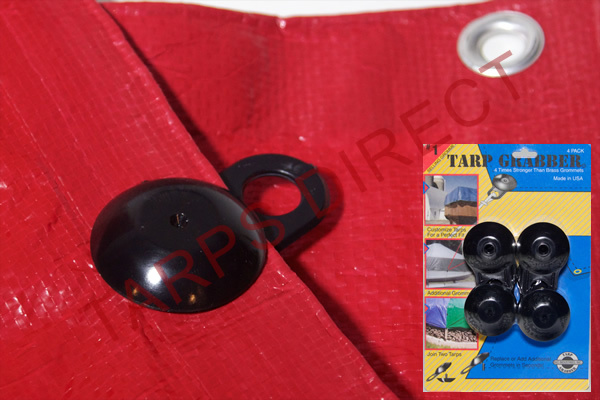 Pack Includes 12 Tarp Grabbers. 4 Times stronger than Brass Grommets. 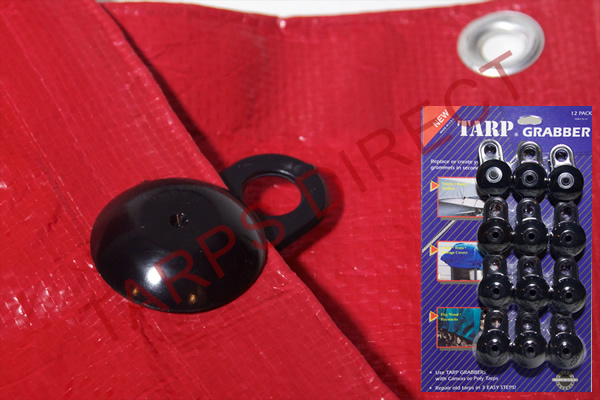 Made in the U.S.A. Great for replacing or adding additional grommets. 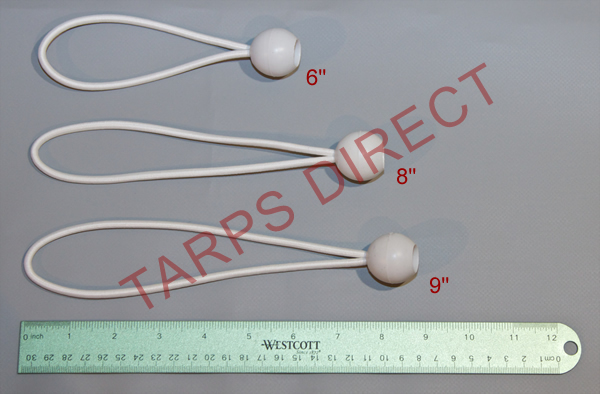 Pack Includes 4 Tarp Grabbers. 4 Times stronger than Brass Grommets. Made in the U.S.A. Great for replacing or adding additional grommets.